To me, the city of Chicago in the U.S. State of Illinois wasn't "love at first sight". It is a city full of contrasts and I was initially shocked to find out that there is still an invisible, but very present border between the rich people who mainly live in the North of the city and the predominantly poor people in the South. Most of Chicago's film locations are in Downtown Chicago, where you will also find a wealth of impressive skyscrapers. You can trace the many filming locations here by looking them up on ItsFilmedThere.com and then walk around by yourself. Alternatively, you can join the pay‐as‐you‐wish Film Locations Walking Tour by Free Tours by Foot. 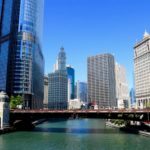 On this tour, you will pass by the filming locations of more than 20 Chicago‐based movies with tour guide Lisa (including those mentioned above). As you walk around, Lisa will tell you more about these filming locations and also show you photos and videos on her iPad. You will also pass by Garrett Popcorn – a Chicago popcorn institution with unusual (but typical American) flavours such as cheese or caramel. Perfect for a night out at one of Chicago's many cinemas. This tour is free, but if you liked it, you should tip your guide at the end. Other than that, there are no costs involved. However, to join the tour, it's essential to sign up online. Chicago has a very extreme continental climate. I was told by Uber drivers that the summers san be very hot and the winters bitterly cold. When I went in May 2017, the weather was pleasant and the city was very beautiful with all those blossoming flowers. The city also wasn't overly crowded with tourists. Thus, I think that spring is one of the best times to go. If you're a fan of the Irish St. Patrick's Day, you should not miss the huge Chicago St. Patrick's Day Parade, which is celebrated every year on the weekend before the 17th of March. This is thanks to the many Irish immigrants that have made Chicago their home. For this special occasion, the Chicago River in Downtown will be turned into an even more intense green than it normally features! The public transport system in Downtown Chicago is pretty good and you can get pretty much everywhere by bus or metro. The outskirts of the city can be quite rough though – especially in the South. Thus, if you are planning to go further out or are staying at an AirBnB outside of Downtown, I would recommend to use Uber, which is available everywhere in the area via the smartphone app. A walking tour is the best way to get a good overview of everything there is to see in Chicago. Aside from the already mentioned Chicago Film Locations Tour, there are plenty of other tours that are organised by Free Tours by Foot in Chicago. I went on the so‐called North Loop Tour, which takes you from Downtown to Chicago's famous Art Institute, Millennium Park and "the Bean" (also known by its official name "Cloud Gate"). Don't forget to take a fun photo here! Taking my FREE Chicago souvenir pic at "the Bean"! If you would like to walk in the footsteps of Chicago’s notorious gangsters and learn about how prohibition effected Chicago, join the Lincoln Park Blues and Gangster Tour, also offered by Free Tours by Foot. Furthermore, I wouldn't want you to miss the magnificent Buckingham Fountain in Grant Park (just a short walk from Downtown), which "erupts" every hour on the hour from mid‐April through mid‐October. For the best views of the Chicago skyline, take a lake or river tour by boat. I didn't do it due to lack of time, but I was told by a Chicago local that the Architecture River Cruise is supposed to offer the best Chicago views ever. Alternatively, take a stroll along the lake front of Lake Michigan. On a sunny day, the water looks so stunningly blue, you will think you are at an open‐sea beach. Although, Lake Michigan is of course a lot calmer than any sea. This one was not in the mood to "say hello" to me. The Chicago Zoo is one of the last remaining zoos in this world that is still absolutely FREE to enter. And for a free zoo, it offers quite a lot of popular animals, e.g. lions, giraffes, penguins and even polar bears. The zoo is a little further out of the city centre, but easy to get to by bus. You can take several of the busses that leave Chicago Downtown and be dropped off right in front of the zoo. For more information, check out the Locations & Directions page of the zoo's website. The Chicago Art Institute is one of the most important art museums in the world and the second largest in the United States. It's located pretty centrally near Millennium Park. The entry is not on the cheap side (20 Dollars for adults), but with so much to see here, it's a must‐do for art fans! Other great museums in Chicago include the Field Museum of Natural History and the Museum of Science and Industry. 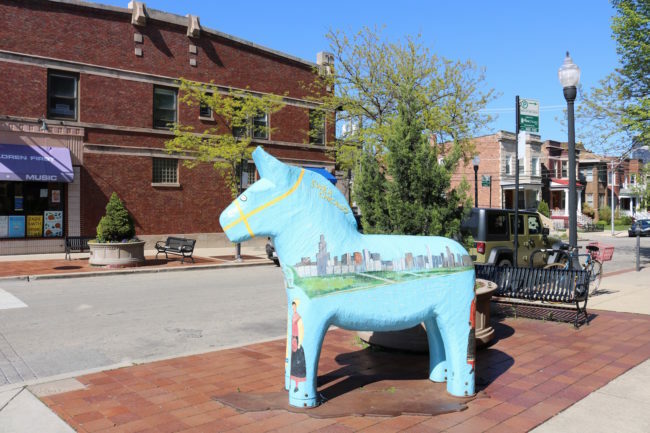 If you're interested in the heritage of the many European immigrants that came to and built Chicago, catch a public bus to Andersonville – a leafy neighbourhood in the North of Chicago and a hub of Swedish settlement. Chicago is one known as one of the American cities with the highest numbers of Swedish immigration. 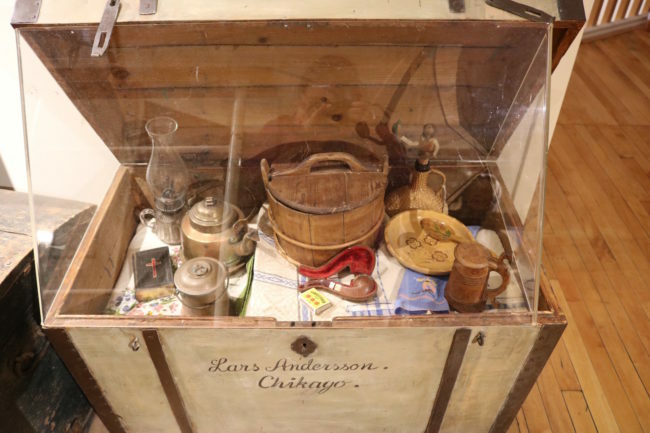 Learn more at the Swedish American Museum. Although the museum is small, it's very informative and the entry is just 4 Dollars for adults. I would recommend to stay in a hotel or hostel in Downtown. 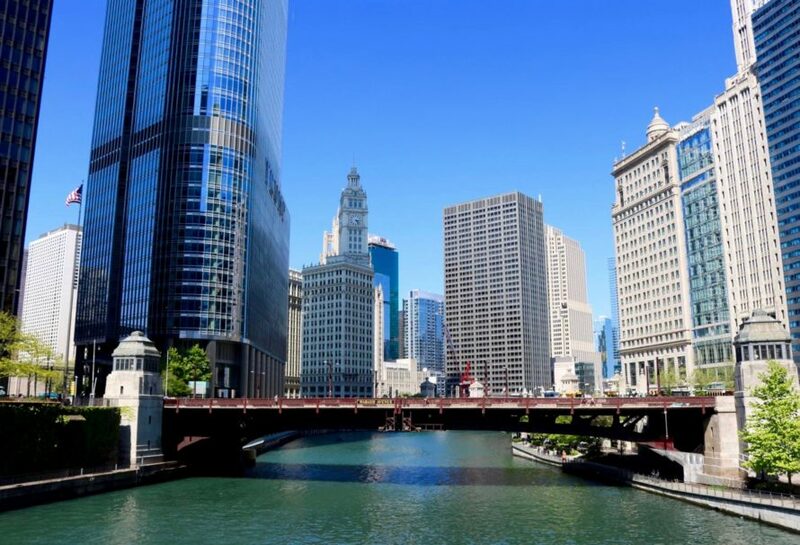 As most sightseeing highlights are located in or close to Downtown, staying in the Downtown area is most convenient for exploring the city and using Chicago's public transport. On my most recent trip, I spent one night at the centrally located Freehand Hostel, which I found to be very good value for money. If you book an AirBnB in Chicago, make sure you carry out a thorough research on the area. I've made the unpleasant experience that Chicago is very much divided into North (good areas) and South (mostly bad areas, even and especially around the university). If you've never booked an AirBnB before, just sign up here and I'll give you a discount for your first booking! A must try in Chicago is the so‐called "deep dish pizza", which was allegedly invented at Pizzeria Uno (29 E Ohio St) in 1943. As the name suggests, the deep dish pizza has a very deep crust, which is filled with a lot more tomato sauce than a "normal pizza". Thus, the deep dish pizza resembles a pie more than a flatbread. Furthermore, Chicago is known as the birthplace of the "pan pizza". Aside from Pizzeria Uno (29 E Ohio St), those special Chicago pizzas can be enjoyed at places such as Giordano's (730 N Rush St), Gino's East (162 E Superior St) and Oprah Winfrey's favourite Pizano's (864 N State St). Disclosure: This blog post includes affiliate links to booking.com and AirBnB. If you click on any of these links and make a booking, I will receive a small affiliate fee, which I will use towards running my website.